Plan your next wedding reception, corporate retreat, meetings or party in our spacious banquet room. 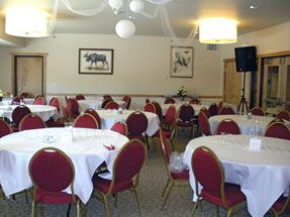 The banquet room opens directly to our summer garden to enjoy the sunshine and warmth of Alaska’s summers.Plan your next wedding reception, corporate retreat, meetings or party in our spacious banquet room. The banquet room opens directly to our summer garden to enjoy the sunshine and warmth of Alaska’s summers. A full assortment of catering options is available – perfect for your next event.A full assortment of catering options is available – perfect for your next event. "Service Excellence in the Heart of Alaska’s Interior" is more than just a slogan at Hotel North Pole it's something we live every day. Our friendly staff is here to make your stay as pleasant, exciting or relaxing as you'd like. "Service Excellence in the Heart of Alaska’s Interior" is more than just a slogan at Hotel North Pole it's something we live every day. Our friendly staff is here to make your stay as pleasant, exciting or relaxing as you'd like. Maybe that's why Trip Advisor ranks us #1 in the greater Fairbanks area. Maybe that's why Trip Advisor ranks us #1 in the greater Fairbanks area. Newly built, Hotel North Pole is built on a modern lodge concept. Birch wood accents, portraits of Mt. McKinley and a large lobby fireplace set the tone. Newly built, Hotel North Pole is built on a modern lodge concept. Birch wood accents, portraits of Mt. McKinley and a large lobby fireplace set the tone. 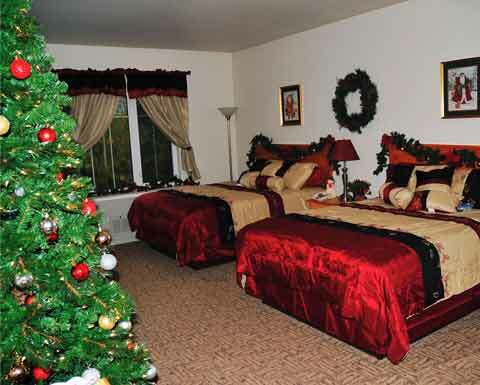 Upstairs our rooms and suites our spacious with all the amenities you will need for your stay. 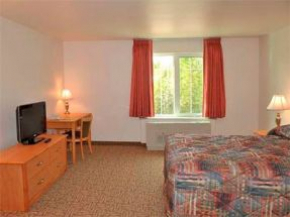 Upstairs our rooms and suites our spacious with all the amenities you will need for your stay. For guests and groups needing longer-term accommodations we offer extended stay suites with separate bedrooms, living areas and full kitchens. These go fast so make your reservation in advance. 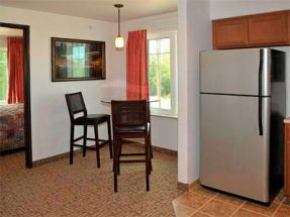 For guests and groups needing longer-term accommodations we offer extended stay suites with separate bedrooms, living areas and full kitchens. These go fast so make your reservation in advance. If you have large groups needing extended stay accommodations or for monthly rates, please call us today. If you have large groups needing extended stay accommodations or for monthly rates, please call us today. Tired of dark, subterranean hotel meeting and banquet rooms? Hotel North Pole offers bright, light-filled meeting and banquet space for up to 160 guests.